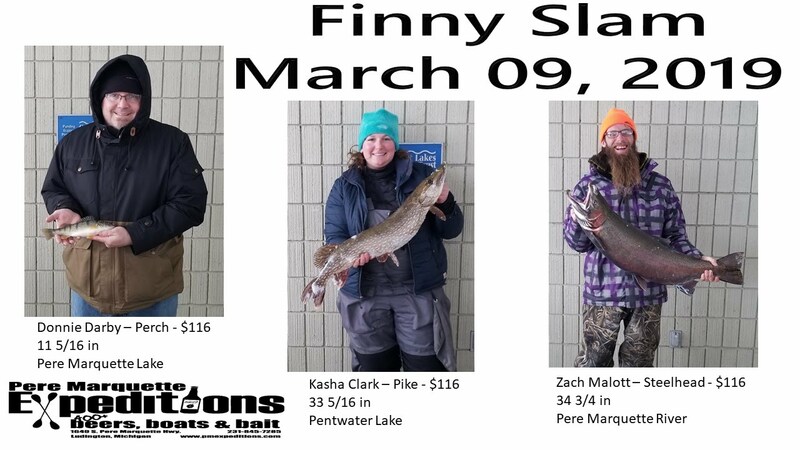 Thanks to all the participants of 2017 Finny Slam. The Ray Finholm Memorial Tournament. 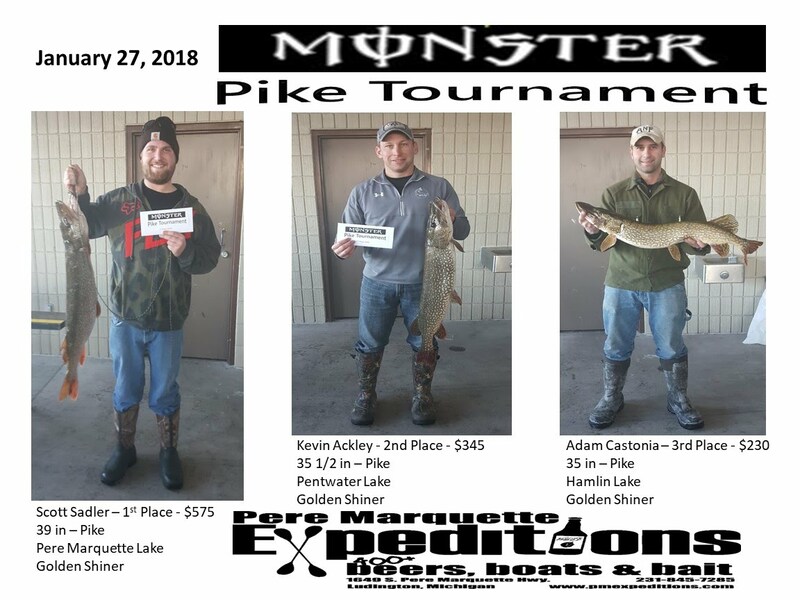 Zero Pike were caught so the Pike payout was divided among the Steelhead and Perch Winners. 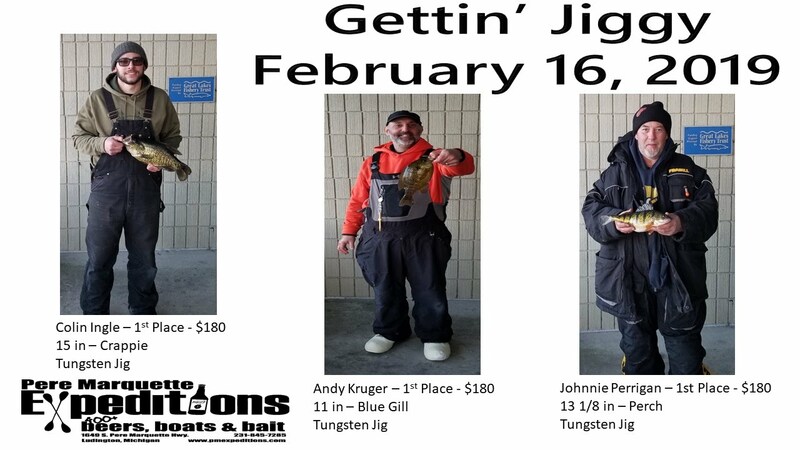 PME gift certificates were awarded to raffle winners attending the end of tournament measuring. Thanks again to Pepsi for supplying beverage for ALL of PME's tournaments this year. Happy Spring!!!!!! 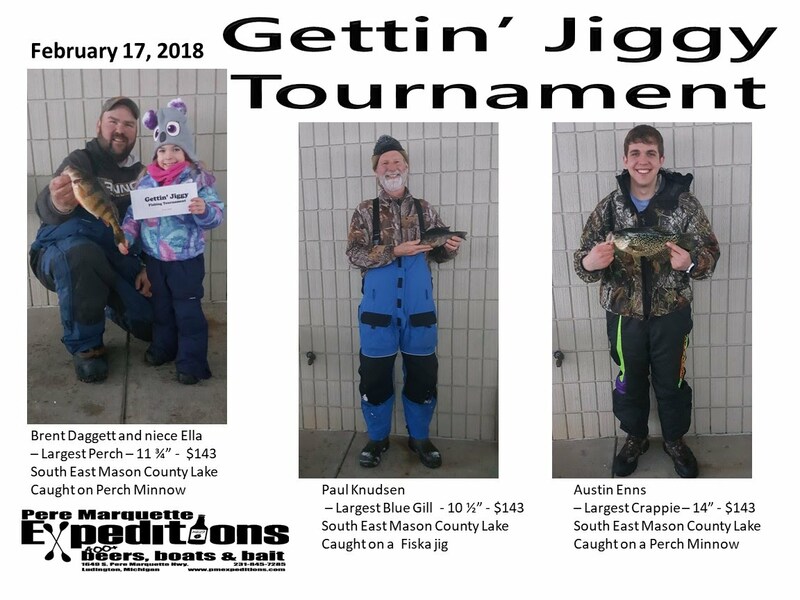 PME fishing tournaments are designed to have fun for the whole family or just bragging rights amongst friends. We pay out 100% to the top winners and with such low entry fees, what do you have to loose? 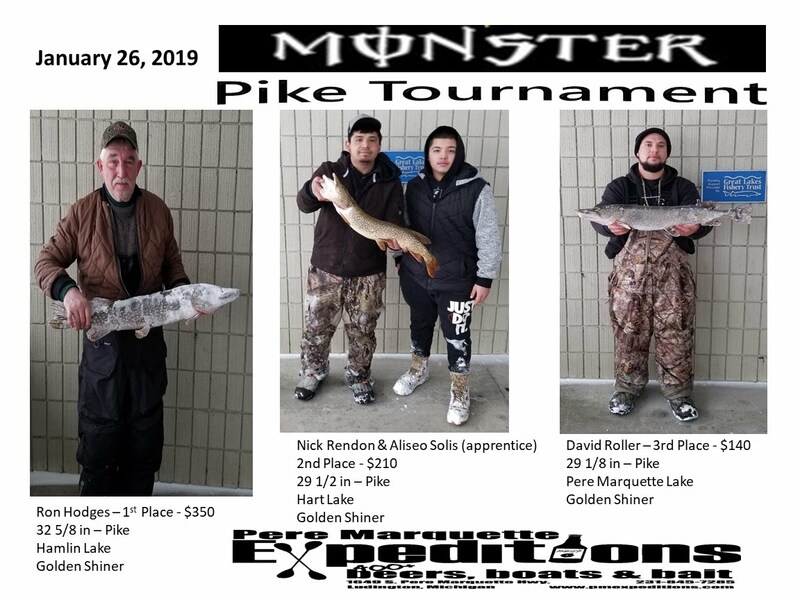 Occasionally we are asked "why do you allow any local lake for the tournament and not just one?" 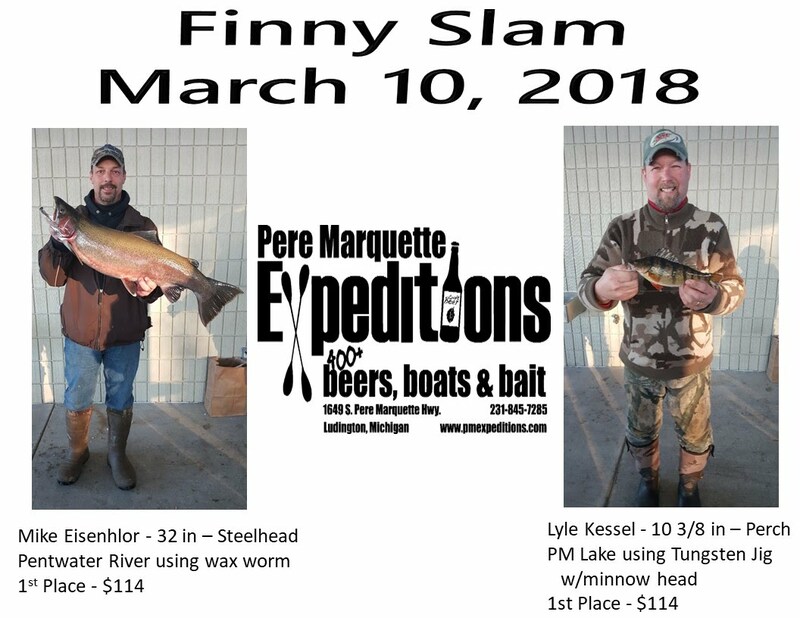 The answer is that we don't like the idea of over fishing one lake, that way we keep fish populations stable for other fisherman after the tournament ends.